It's time to hang those stockings with care. These stockings are available in a variety of colors and patterns. If you don't see the color you want let me know what you are looking for and I will see what I can do. They are crocheted with very thick, soft yarn and they will withstand many years of stuffing. Add these to your yearly decorating traditions. ​I am going to list these in the order of the photo at the top, left to right. Any Color Combination is available. Below is a slide show of different examples. I recommend hand wash lay flat to dry. Each item is custom made when ordered, please allow 2 weeks. If you need it sooner let me know. ​I am going to list these in the order of the photo, left to right. 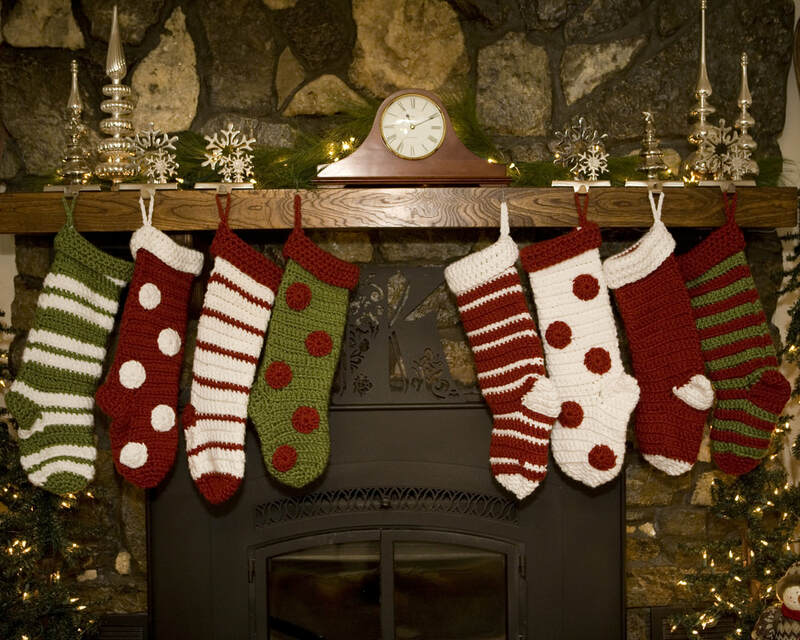 When choosing the color, the first color listed is the main color of the stocking. So I you choose Red & White the predominate color will be red with white accents. This listing is for monogramming of 1 stocking, with choice of initials or a name. Please leave correct spelling in the "note to seller" I charge $7.50 for initials, $10 for a name 1-5 letters long and $12 for 6-8 letters because of the difficulty and the increased time to hand sew them.